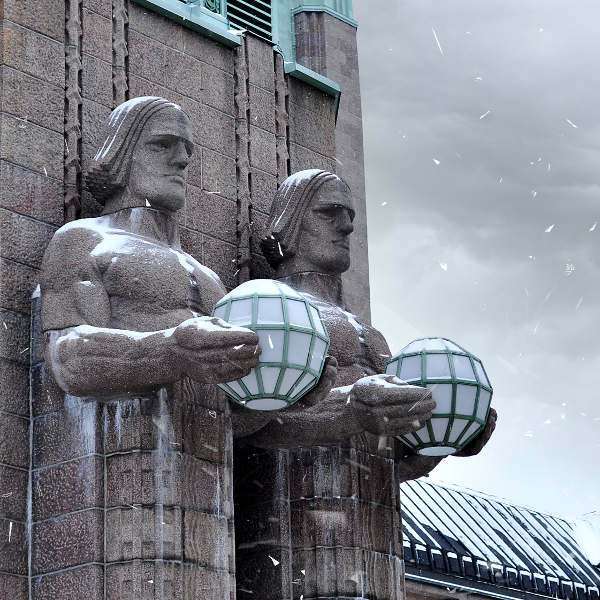 Helsinki is the capital and artistic hub of Finland. With a population of more than 600,000 residents, it is the largest city in the country! Helsinki is the perfect combination of a look into old Scandinavian heritage, with fresh design ideas all around. 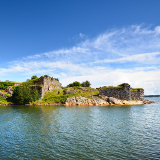 Famous tourist attractions include Katiharjun Sauna, the Suomenlina fortress and Helsinki Senate Square. Cheap flights to Helsinki are now available for a limited period of time, so get ready to be enchanted by this rustic city. Helsinki is home of Helsinki Airport (HEL), which is located on a 30-minute drive from the city centre. Helsinki is one of Europe’s most appreciated design centrals. It’s unique and modern artistry can be found in many of the city’s downtown neighbourhoods. Unique to this beautiful city, Helsinki is one third greenery. This beautiful inner-city serenity is made up of parks, trails and nature reserves. 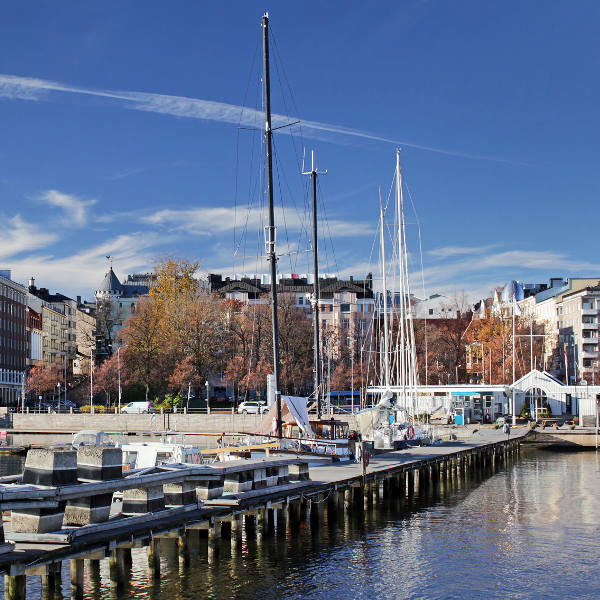 With over 100km of shoreline lining the city’s edge, Helsinki gains many of its attractive views and exciting activities due to its close proximity to the sea. Autumn in Finland is said to be exceptionally beautiful as leaves and other natural scenery turn beautiful shades of bronze, gold and even crimson. 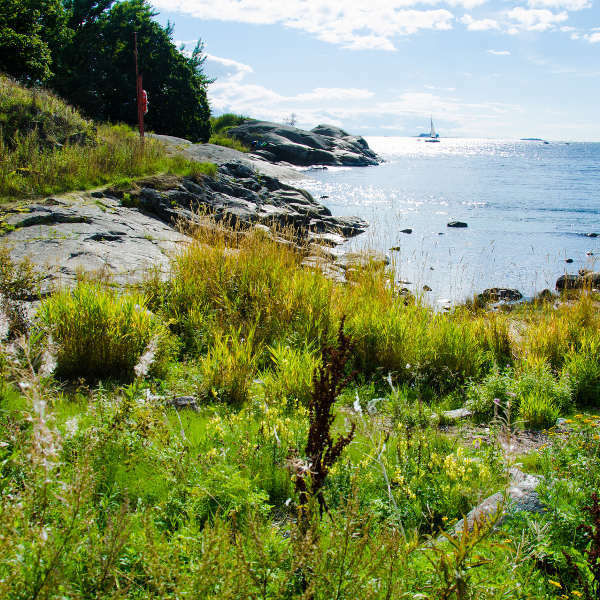 Of course, summer is always a winner and as Helsinki is a coastal city, you will have the chance to enjoy picnics in the numerous parks and participate in maritime activities. For an exceptional experience, locals recommend that you visit the city in the colder months. Try some fun winter activities such as snowboarding, skiing, and even cooling off in an icy lake straight out of the hot sauna! This Finnish city has a lot to offer visitors at any time in the year. Both the warm and cooler months can be thoroughly enjoyed as the residents certainly know how to make the best out of any situation. 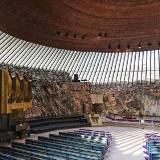 Helsinki takes advantage of its geographical location, and influences of East and West can be seen in its architecture and general infrastructure. This city is also regarded as one of the top design destinations of the world and walking through the streets, you can feel its energy and electrifying spirit. The cuisine in Helsinki is said to be quite adventurous for the non-Nordic but we can imagine that you would enjoy the Pannukakku (oven pancakes) and Omenalörtsy (apple doughnuts)! Helsinki is famous for its greenery and boasts an eco-friendly city environment that lovingly cares for Mother Nature as she cares for us all. 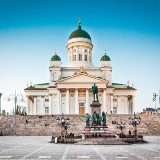 Compare several airlines, and book your cheap flights to Helsinki online at Travelstart! Helsinki is a very safe city with very few crimes reported every year. However, as with any large city, it is important to be aware of your belongings and surroundings at all times. As the city can get crowded during the summer season, some instances of pick pocketing have been mentioned, so perhaps just keep an eye on your personal items in public. In the evenings, there are generally many people walking around the city centre, so travelling when at night is perfectly acceptable. There have been some mention of unruly drunken people, but if you move away or ignore them you should be fine. For those planning their trip over the summer season in Helsinki (May to August), it would be a good idea to book your accommodation in advance as the city is busiest during this time. Downtown/city centre would be the most ideal location if you would like to be fully immersed into the city’s culture. Also, staying there gives you great access to all the famous tourist sights, it provides easy access to public transport, and is in walking distance to all restaurants, cafes and store. Helsinki provides a great range of accommodation for all budgets, and it can be especially well-priced over the colder months of the year. Helsinki is one of Europe’s top destinations regarding its public transportation system. Trams are the most popular way to get around the city centre, especially so as they provide great views to visitors wishing to see the city’s splendour. Trains, taxis and ferries are also quite popular, but for those who prefer to navigate around the city on a budget, the cheapest option would be to use the buses. Walking and bicycle cycling are also a fantastic way to get around, and as Helsinki is all about its eco-friendly environment, this method is recommended for sightseeing.